It's a scream when rock band KISS plays Banning Junction's 100th-Anniversary Halloween Party in A Scooby-Doo Halloween. Before scarfing up all the candy, the Mystery Inc. gang tries to scare up some nasty celebration spoilers. The legendary San Franpsycho snatches a champion skateboarder on notorious Alcatraz Island. Scooby-Doo and crew much catch some big air - and a scar-covered ghost! 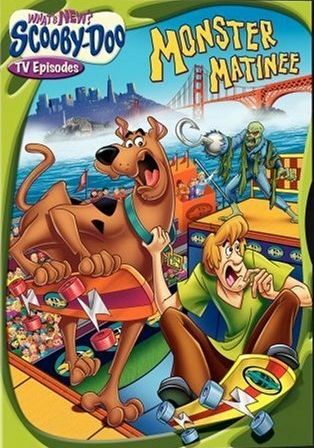 In New Mexico, Old Monster, Scooby-Doo and good buddy Shooby-Doo solve the mystery of the flying Wakoomee Beast. On a visit to Japan, Shaggy's Big Appetite in Little Tokyo leads him to devour a cursed pizza that turns his dreams to nightmares when he becomes the Shagzilla who devours Tokyo!